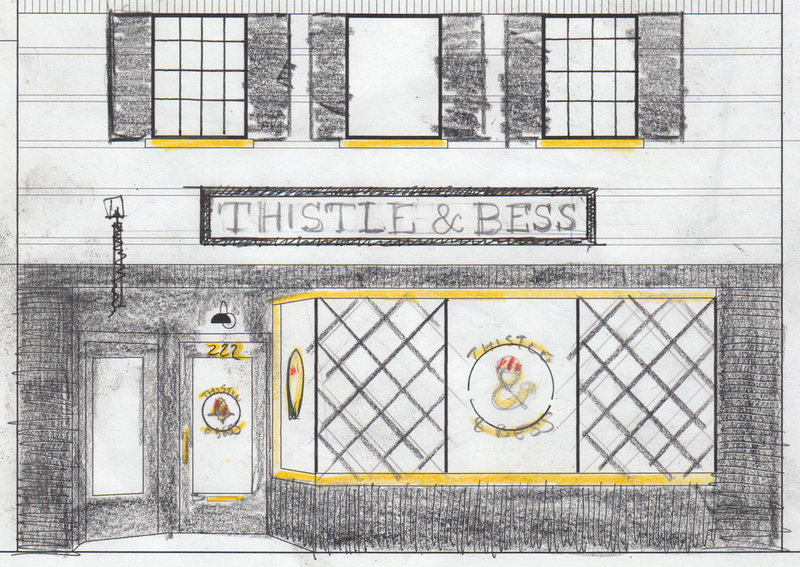 Thistle & Bess is a home and lifestyle shop in Ann Arbor, Michigan. Its name derives from the owner’s Scottish and English heritage. She wanted her storefront to resemble old English shops you see around London. In one of those seemingly fated coincidences, I had just returned from London where I had seen many such shops. I had also given a talk about my London book in the medieval guildhall of the Worshipful Company of Clothworkers. Their coat of arms features, of all things, a thistle! And so that shape, both real and stylized, was already on my mind. 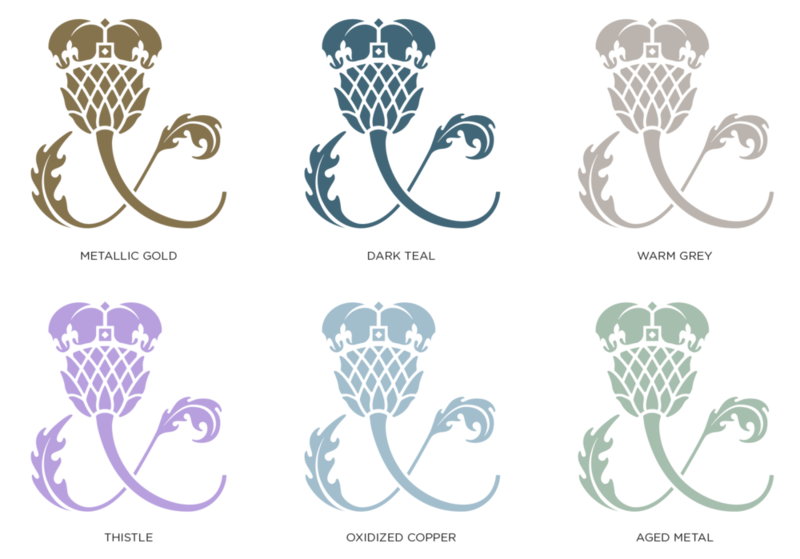 For her logo, I merged the Scottish thistle with Queen Elizabeth’s crown to form an ampersand that unites both words. 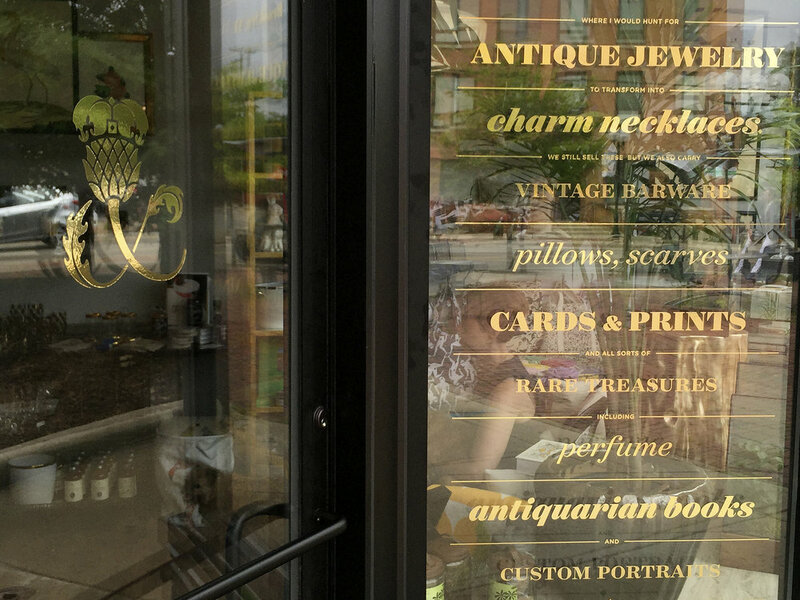 For her storefront, I envisioned an illuminated swing sign, gold leaf, faux shutters, and diamond muntins in the window. In the end, we skipped the muntins to allow a clearer view into the shop. Instead, on the window nearest the door, I told the story of her shop through a typographic list of its many offerings.